This is a large, strong adapter for props in the 10″ to 22″ range, with 8mm center hole. Made to fit 5mm motor and gearbox shafts, with suffcient length to mount large APC E and SPORT props, and also a spinner if desired. 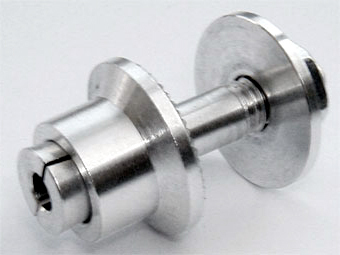 3mm hole in end of adapter allows mounting of various spinners.